“Through the Top Lawyers Under Forty Award, the HNBA celebrates and highlights younger HNBA members who have demonstrated professional excellence, integrity, leadership and commitment to the Hispanic community. HNBA members from all segments of the profession, including private practice, government, public interest, academia, and corporate legal departments, are eligible to receive the Award. Monica also recently received the 2010 Pro Bono Publico Award from the Louisiana State Bar Association. This award is given to an outstanding attorney who has demonstrated dedication to the development and delivery of legal services to the poor through pro bono service. Her pro bono service was in the Hispanic Community. Ms. Sanchez has also twice won the prestigious Leadership in Law Award recognizing the Top 50 Lawyers in New Orleans. She was recently named as a 2010 recipient which is the second year in a row that she has been recognized for this award. She also won it in 2009. This award is given to the top 50 attorneys in New Orleans as judged by a panel of professionals at New Orleans City Business Magazine. Ms. Sanchez also received the 2009 Women of the Year Award. The annual award honors women whose successes in business and contributions to the community have set the pace for the region’s future. The women selected are innovative leaders with outstanding energy, ideas, achievements and commitment to excellence in the New Orleans area. She has also been featured on the cover of El Tiempo magazine as one of the Top 5 Latina Entrepreneurs in the City of New Orleans. She was the only attorney among this group. Monica was also the subject of a ten page expose in Vocero Magazine. She has been a frequent guest speaker on Radio 1540 Tropical where she gives legal advice to callers. Monica also regularly speaks at seminars attended by lawyers and judges. Mr. Mitchell was featured in the April 23, 2012 edition of Newsweek Magazine as one of the Nationwide Leading Attorneys in Medical Malpractice. Only 19 attorneys nationwide were featured overall and only 11 were featured in the area of medical malpractice. Mr. Mitchell was also selected for inclusion in the 2012 and 2013 editions of The Best Lawyers in America. Selection to Best Lawyers is based on an exhaustive and rigorous peer-review survey comprising more than 3.9 million confidential evaluations by top attorneys. Mr Mitchell was selected for inclusion in the 2012 and 2013 editions of Louisiana Super Lawyers. Only five percent of the attorneys in the state are named to the list. Mr. Mitchell has been selected as a National Finalist of the Lawdragon’s annual guide to the Leading Lawyers in America. 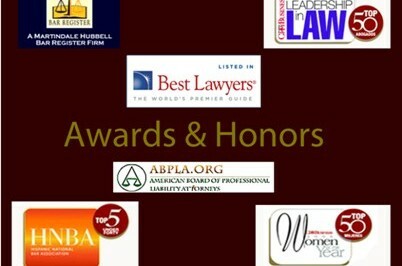 Approximately 3,000 lawyers are awarded the status of National Finalist each year out of the 1.1 million U.S. lawyers. Lawdragon selected the National Finalists (also known as the Lawdragon 3000) from more than 25,000 nominees who were identified through independent research and online submissions, then selected through an intensive three-month peer review, client evaluation and editorial process. Mr. Mitchell is also the recipient of the prestigous Leadership in Law award for 2010. This award is given to the Top 50 attorneys in New Orleans as judged by a panel of professionals at New Orleans City Business Magazine. Mr. Mitchell was one of the first 12 attorneys in Louisiana to become Board Certified in Medical Malpractice cases by the American Board of Professional Liability Attorneys. Mr. Mitchell was also named to the American Trial Lawyers Top 100 trial lawyers from 2007-2010. In December 2009, 2010 and 2011, Mr. Mitchell was named as one of the Top Lawyers in Medical Malpractice by New Orleans Magazine.